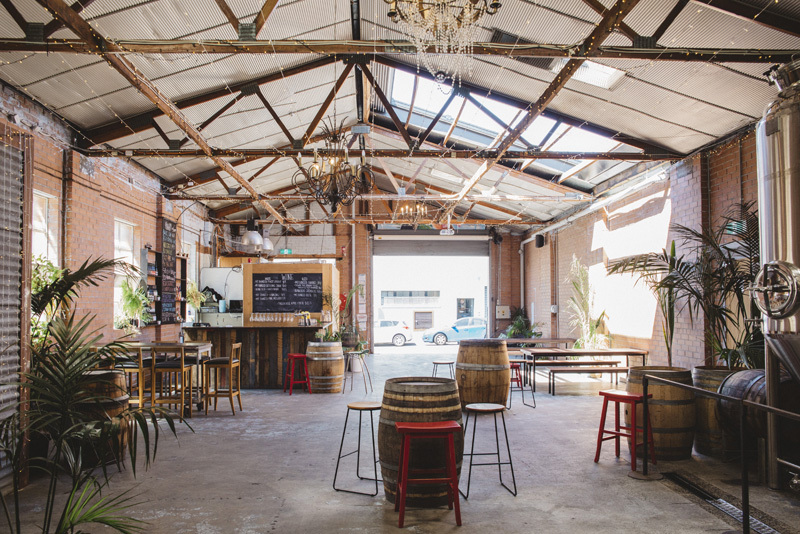 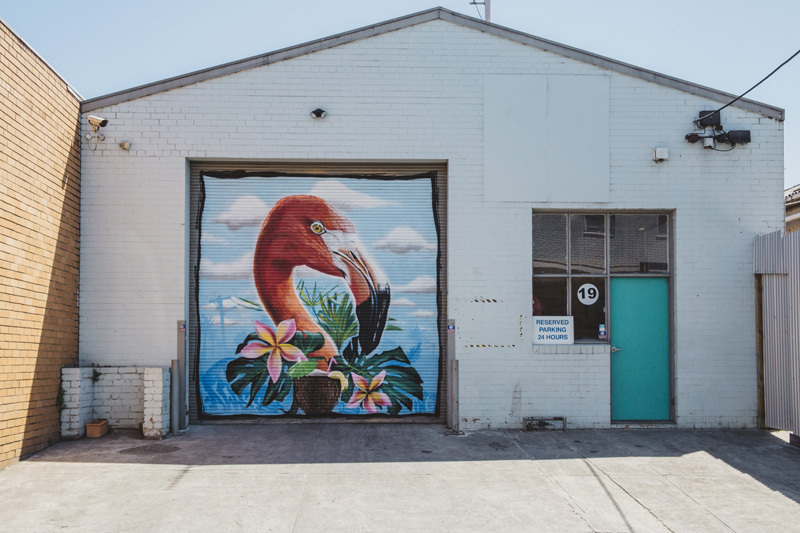 Tucked away in the backstreets of inner Melbourne’s Abbotsford, lives The Moon Dog Brewery Ballroom Oasis. 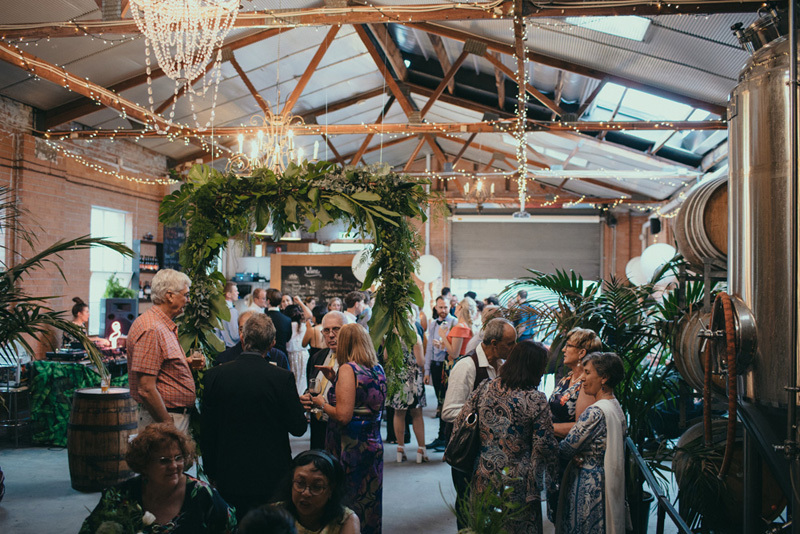 This oh-so-trendy redbrick warehouse-turned-venue features exposed beams adorned with twinkling fairy lights, chandeliers, and a retractable roof, which allows for an abundance of natural light to swathe this edgy space. 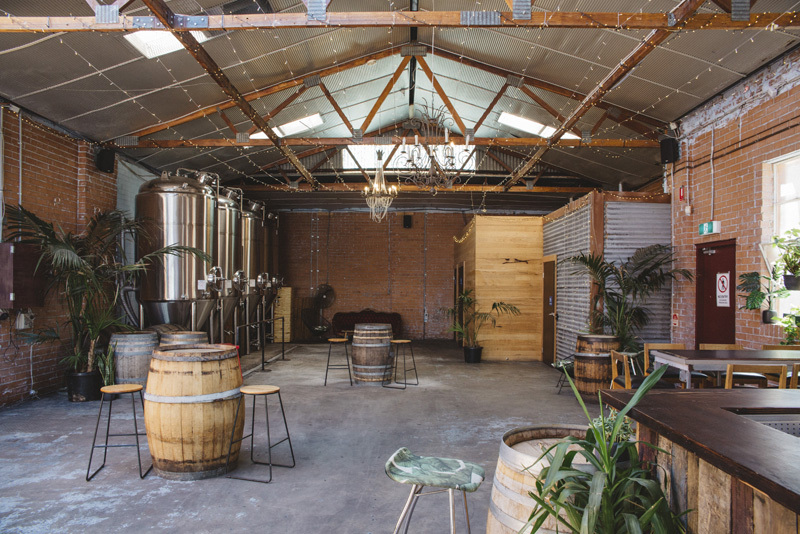 Better yet, your guests can enjoy a rotating line-up of beers made by the Moon Dog brewers right next door (…that’s a big ‘hell yes’ from us!). 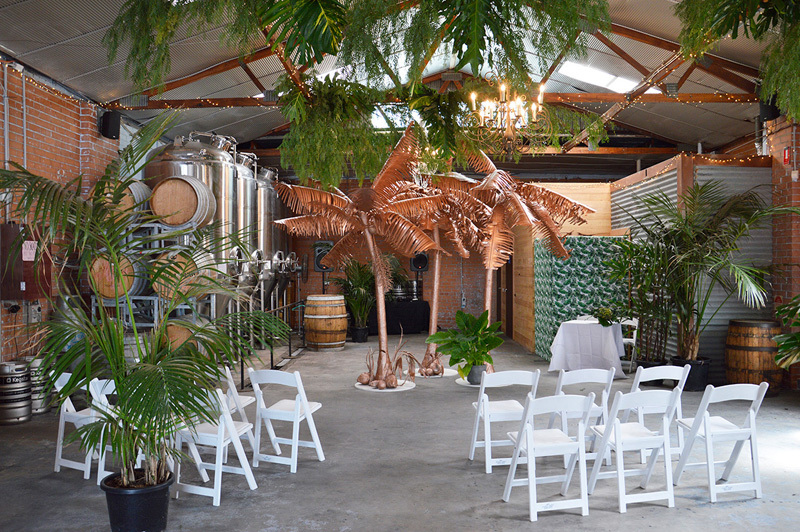 Whether it be an intimate sit down reception or a relaxed cocktail party with friends, we think The Moon Dog Brewery Ballroom is the perfect location to host your next shindig. 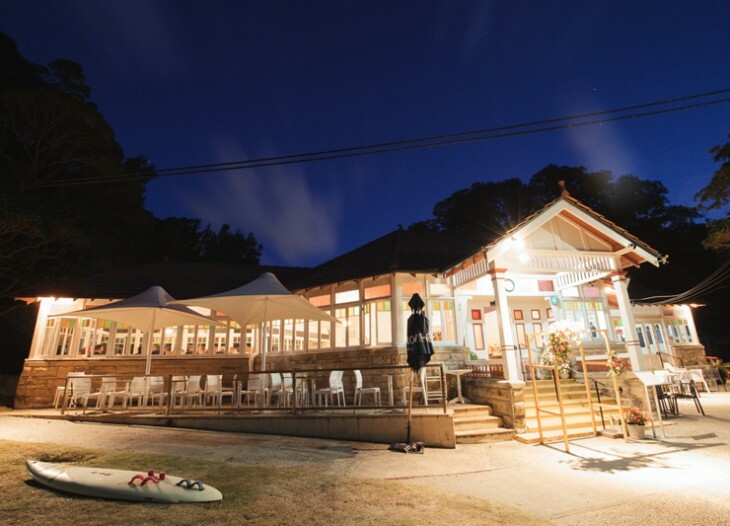 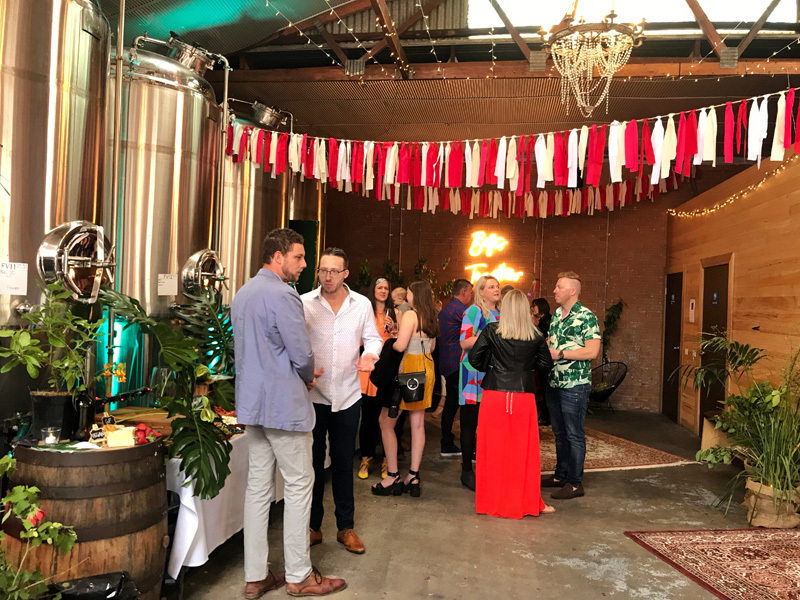 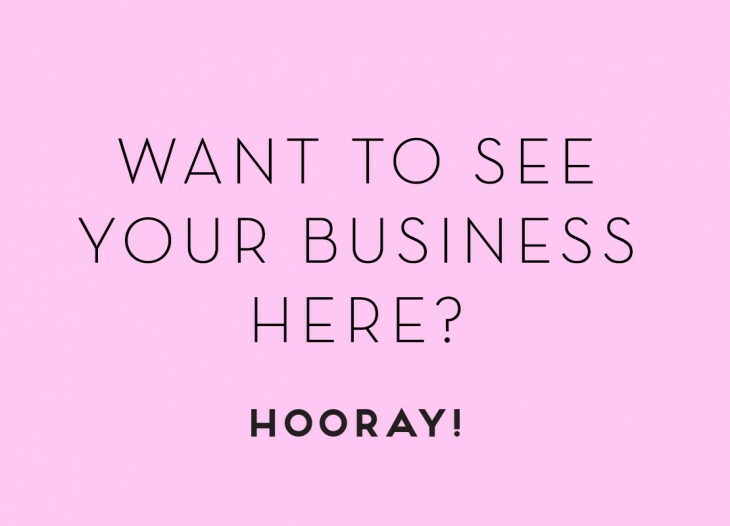 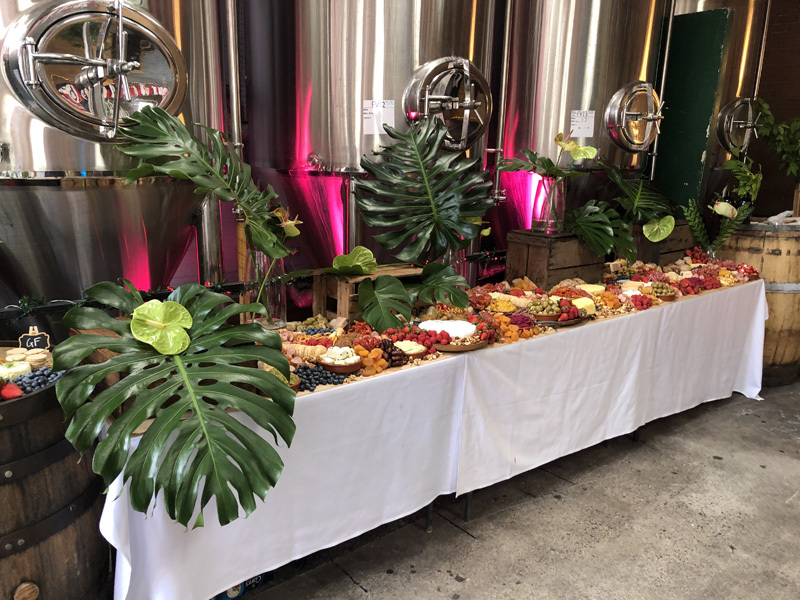 If you’d like to learn more about how you can book this space for your next soiree, reach out to Kate at functions@moondogbrewing.com.au or phone (03) 9428 2307. 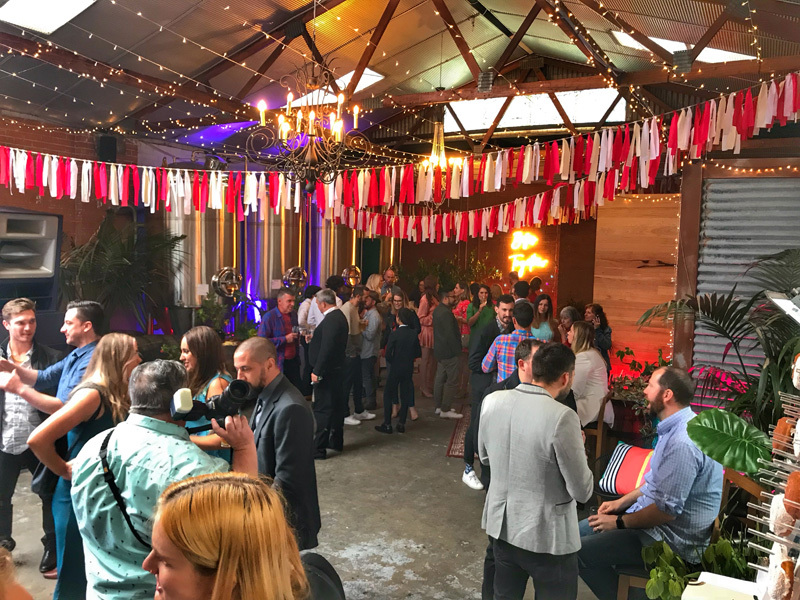 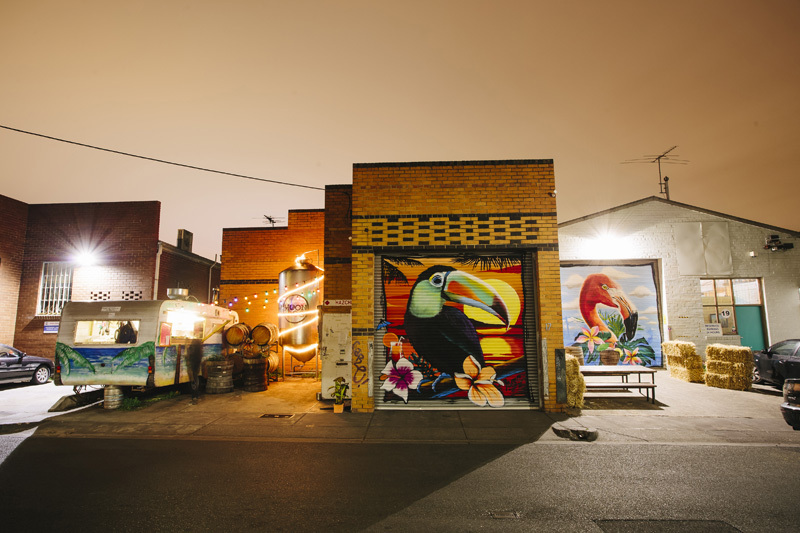 The Moon Dog Brewery Ballroom Oasis is tucked into the backstreets of inner Melbourne’s Abbotsford just 3km from the CBD. 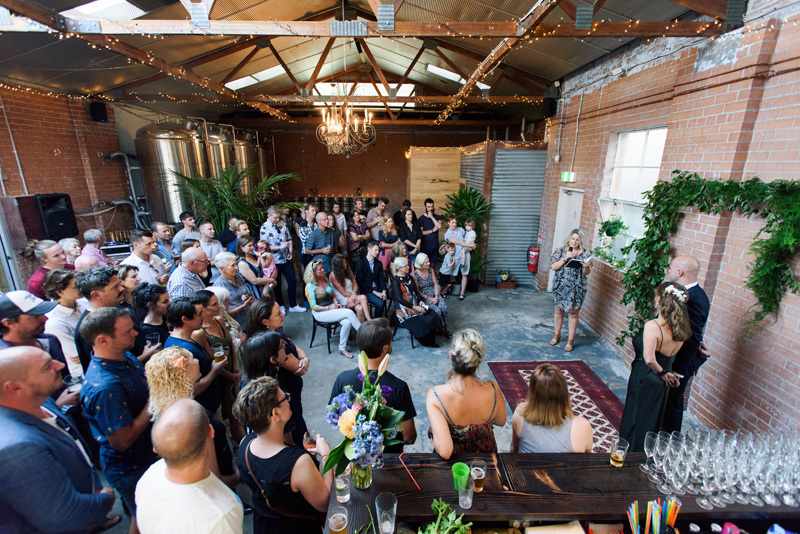 The space is approximately 10m x 22m with a capacity of 60 to 120 people. 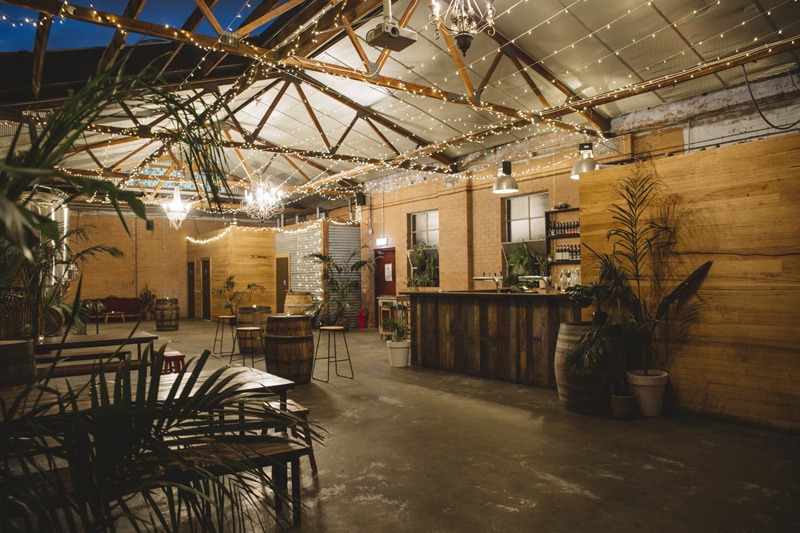 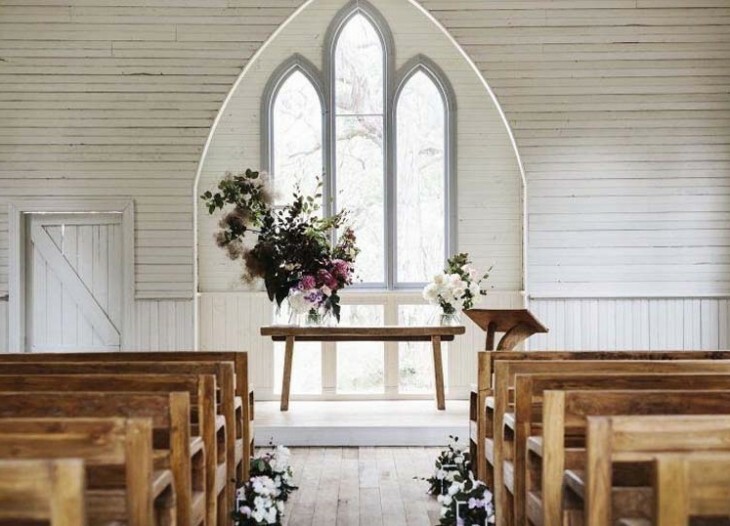 The large open floor space is flexible, allowing you to set up the space to suit your needs, from a ceremony to a cocktail party, or intimate sit down function. 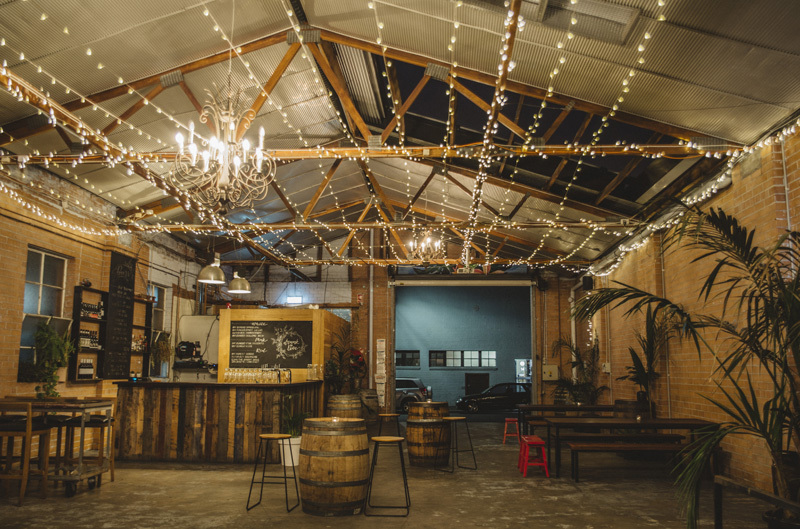 There’s a bar featuring a rotating line-up of beers made by the Moon Dog brewers right next door, plus wine, cider and cocktails. 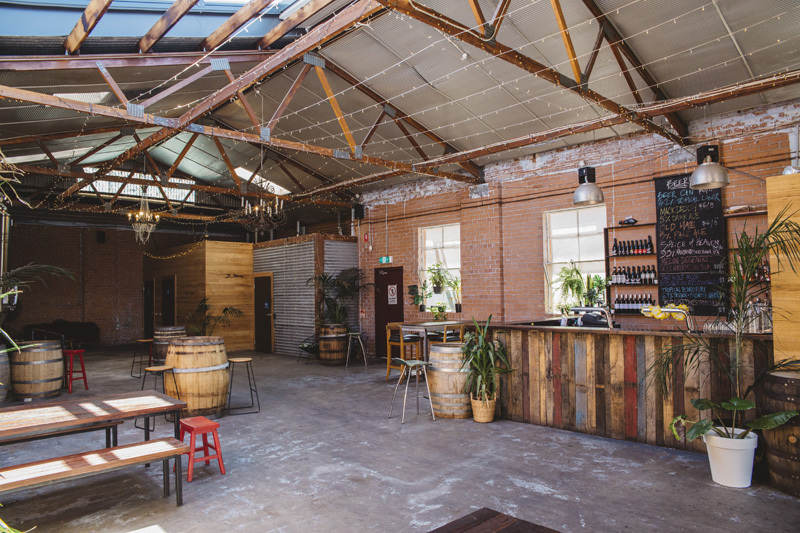 If you would like to contact The Moon Dog Brewery Ballroom Oasis, email Kate at functions@moondogbrewing.com.au or call (03) 9428 2307.